Cafeteria Culture (CafCu) is an environmental education organization working with youth to creatively ​achieve zero waste schools, plastic free waters, and climate smart communities by merging citizen science and civic action with media and the arts. 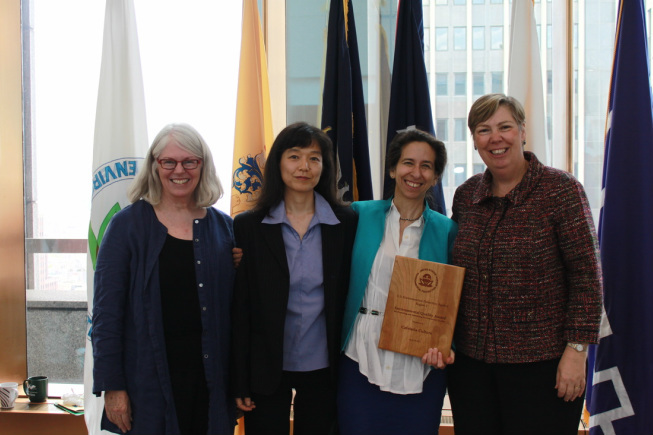 CafCu achieved these amazing victories by working creatively and collaboratively with government, other environmental organizations, and entire school communities, including students, who are our key partners in change! Soon after initiating the Styrofoam Out of Schools campaign, it became clear that there was an urgent need to innovate environmental education and inspire school-wide engagement in order to achieve the city’s solid waste reduction goals. A key component of our work is leading our cutting edge environmental education in schools, including the ARTS+ACTION Zero Waste School and Community Arts+Media for TRASH FREE WATERS prorgams. We have taught over 6,000 pre-k -12th grade students from 16 NYC public schools, located primarily in low-income communities of color. We teach the “why” before the “how” and empower students with hands-on leadership roles in the cafeteria, school, and neighboring communities. Students learn the skills of collaboration, problem solving, critical thinking, and participatory democracy, then engage local, national, and international audiences with their creative and informed youth-made messages and videos. Cafeteria Culture also teaches creative storytelling through the visual arts, performing arts, and video production that is supported with citizen science and civic engagement activites. Our school programs give underserved New York City youth a voice on urgent environmental issues. Since 2012, our unique “ARTS+ACTION Zero Waste School” program has been key to our work and success. We have taught the program as a demonstration project to over 6,000 pre K-12th grade students from 14 NYC schools, located primarily in low income communities of color. We teach the "why" before the "how,” then empower students with hands-on leadership roles as Cafeteria Rangers. ​The parallel program component is an interdisciplinary "Make Change Messaging" curriculum. 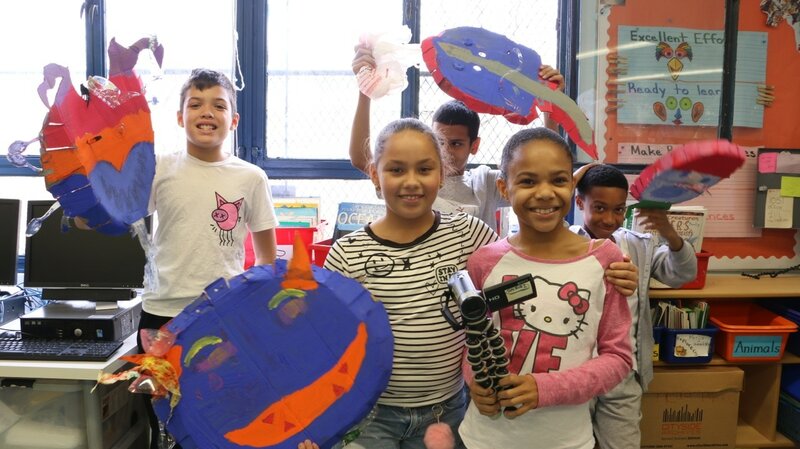 Students become the schools’ change-makers, designing arts-based advocacy campaigns to engage communities on the links between garbage, environmental justice, and climate change. These student led campaigns heighten community awareness and interest on the issues of NYC garbage, plastic pollution, climate change, and environmental justice. CafCu's SORT 2 SAVE KIT is a free and easy to use multimedia toolkit for NYC schools - to support the NYC's zero waste goals. 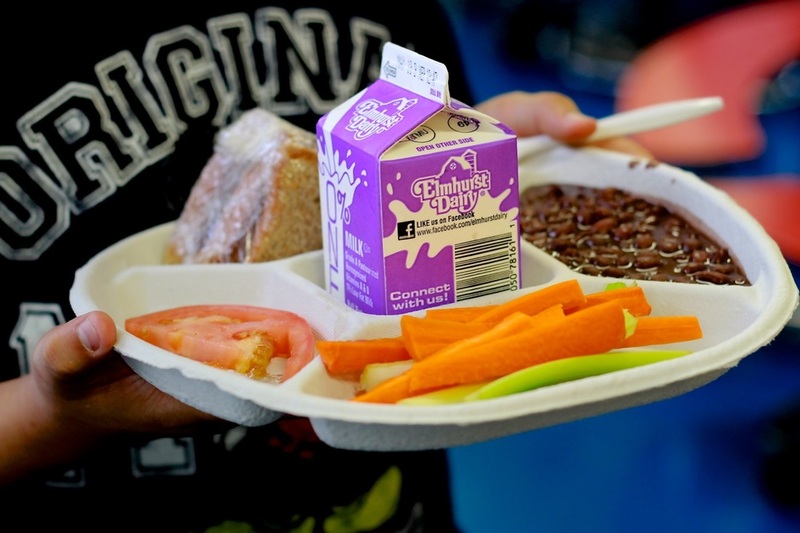 The new compostable plate - now in all 1,800 NYC public schools, as well as in the 5 other Urban School Food Alliance cities: LA, Chicago, Miami, Dallas, and Orlando. PS 221 Brooklyn, Cafeteria Rangers in action! PS 34 M - ARTS+ACTION 5th graders with NY City Council Members and environmental leaders speaking on why styrofoam should be banned; NY City Hall, November, 2013. PS 20 M - ARTS+ACTION - Make Change Messaging with 2nd grade class, constructing a giant polar bear puppet from used foam trays. MS 246 Brooklyn, 8th graders interviewing neighbors about litter and environmental justice, East Flatbush, 2014. 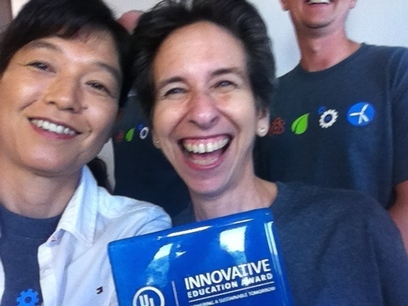 Cafeteria Culture's Media and Cafeteria Ranger Program Director, Atsuko Quirk, and Executive Director /Founder, Debby Lee Cohen, accepting the UL Innovative Education Award at the UL headquarters in IL, August 2015. 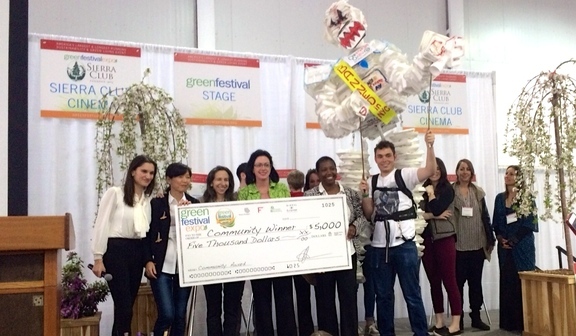 Cafeteria Culture accepting the 1st place award at the NYC Green Festival, Jacob Javits Center, April 2015.